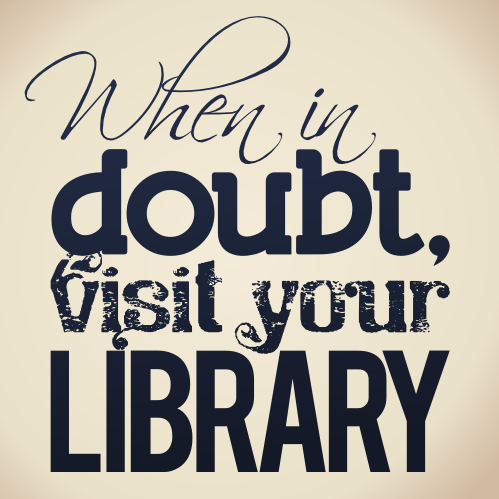 The message here is a simple one — if you need a clear answer, a library is a great place to start. Made in Inkscape, the premier open source design tool. Thanks to Marie Radford’s suggestion, I’ve created another version that has a larger worldview. Thanks, Marie! Entry filed under: advocacy, Customer Experience, Design, Fun, Libraries, Reference, Research. Tags: Add new tag, Calligraphy, Graphics, ideas, Inkscape, John LeMasney, Languages, Library, New Jersey, Open source, Programming, Vector Based. Great tip about using inkscape, and I’d like to see a slightly different message. 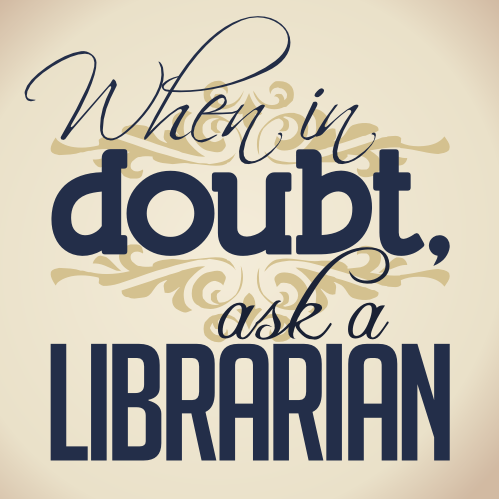 How about “ask a librarian” instead of “visit your library”? Two reasons, 1) highlights the contribution of librarians, 2) opens up possibilities for virtual reference, phone, txt, facebook, etc. to get help rather than just the physical library. It made perfect sense to me, Marie, after you brought the logic of it to light. If I had thought about it just a little bit (or a lot) more, I might have had the insight to make that jump, but my view was limited. I am thrilled and thankful that you cared enough about the message and the design to make the suggestion. It’s people like you who have helped me the most in this project to grow not only in my design, but in my worldview. Great idea, Marie — I apologize for not looking at the bigger picture. I’ll make a revision with a new design and get it up in the near future. Will look forward to seeing it John. Are you going to ALA? Would love to see you. I won’t be at ALA this year, Marie, but I’ll miss you. Thanks for doing the revision!!! Looks great! Very nice!! Thanks for the Inscape tip, also. I usually use Photoshop to make signs and find it rather clumsy. Thanks, Lori! I love Inkscape for graphic and font work because it’s vector based, and works especially well with lines and curves. Photoshop (and my preference, the CNU Image Manipulation Program, which is free) is a bitmap or raster tool, and works best with photographs. It can be frustrating to work on signs in a bitmap tool, unless you’re looking for a photographic result. Best, j.